The “Plague of Athens” was a severe epidemic, which struck the city between 430 and 427 B.C.E. ; reemerging there in 425 B.C.E. It is believed to have originated in Ethiopia, and then to have spread throughout the Mediterranean. It hit Athens early during the Peloponnesian War (431-404 B.C.E), at a time when the city was under siege by Sparta. The Plague claimed the lives of about a third of Athens’ citizens. Yet the extent, to which it might have contributed to the ultimate Spartan victory in the war, or to the eventual decline of the Athenian empire, is not known. The Athenian historian, Thucydides, in his History of the Peloponnesian War, provides the only known eye-witness account of the Plague. For that reason alone, Thucydides’ account is of great historical interest. Yet Thucydides also set down his own truly remarkable (considering the time) insights into the epidemiology of the Plague. Taken together, these observations led Thucydides to put forward, perhaps for the first time, the notion that an affected individual might pass on a disease, directly, to another individual who is not yet affected. In contrast, medical theory of the day held that epidemics result from miasma: poisonous vapors, which inflicted anyone who might breathe them. Miasma could be caused by the weather, by the stars, or by the displeasure of the gods. Miasma readily explained why large numbers of people could become ill at the same time. They simply breathed the same air. Yet Thucydides was in fact proposing something radically different; that is, contagions. And he did so twenty-three centuries before Pasteur, Lister, Koch and others in the 19th century established our modern germ theory of disease! Before then, western medicine continued to attribute epidemics to miasma. Another of Thucydides’ key observations was that individuals who recovered from the Plague were resistant to future attacks. Moreover, he recognized that their resistance was specific. That is, survivors of the Plague were resistant to further attacks of the Plague, but not to other diseases. This insight too was remarkable since our modern concept of specific acquired immunity came even later than our concept of infectious disease. Thucydides’ deduction may have influenced his fellow Athenians, since those individuals who survived the plague comprised the few who were willing to care for those who fell ill.
Thucydides could not know the nature of the contagion he was proposing, although he thought it might be a fluid. And, while the epidemic in Athens is referred to today as a plague, it almost certainly was not bubonic or pneumonic plague. Some modern references to the Plague of Athens presume that it was smallpox. Thucydides does mention the body “breaking out into small postules and ulcers,” and other aspects of his description of the disease are consistent with smallpox. Yet Thucydides also tells us that dogs too were susceptible to the Plague. However, humans are the only host for smallpox. At any rate, the exact cause of the Plague of Athens is not known for certain. Modern experts have attributed it to a variety of pathogens, including Yesinia pestis, typhus, anthrax, measles, and even Ebola, in addition to smallpox. Yet none of the diseases associated with any contemporary pathogen exactly matches Thucydides’ description of the Plague of Athens. It is possible that the pathogen responsible for the Plague, and the Plague’s symptoms as well, might have changed over 24 centuries. Another possibility is that the pathogen responsible for the Plague has since become extinct. Thucydides’ insights are not nearly as well known today as they ought to be. Perhaps that is because they had no lasting influence on his contemporaries or, for that matter, on those who came later. Consider how the history of medical science might have been different if Hippocrates, and others of Thucydides’ contemporaries, had been influenced by his observations. How might we explain why Thucydides’ insights were largely ignored by his contemporaries and, indeed, lost to western medicine? One reason is that the ancient Greeks had precious little scientific knowledge that might have enabled them to understand the Plague. 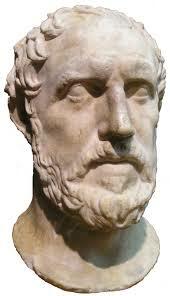 Moreover, Thucydides’ Athenian contemporaries made little distinction between medicine and religion. For instance, Sophocles (one of the great dramatists of classical Greece) believed that the plague had a supernatural cause, and that an oracle, rather than a physician, needed to be consulted for its resolution. Hippocrates (about 460 to 370 B.C.E.) may have been the first physician to believe that diseases have natural causes, rather than being punishments inflicted by the gods. However, none of Hippocrates’ writings suggest the concept of a contagion. In any case, after Hippocrates’ death, the practice of Greek medicine actually regressed back to a more superstitious state. What’s more, contrary to popular opinion; the Greeks did not actually invent the scientific method. Nor were their theories developed with the intent of experimental verification. Aristotle’s science held that nature did what pure logic suggested it should do. For example, he said that heavier objects fall faster than lighter objects, because it is their purpose to do so. Neither Aristotle nor his contemporaries actually looked to see if heavier objects indeed fall faster than lighter ones (they don’t). In fact, the first individual known to have actually tested this premise was Galileo (1564-1642). Only afterwards did observation become the basis for western science. And, this transition was not easy since, as we know well, the powerful churchmen of Galileo’s day rejected the concept that the universe might be governed by natural laws, since that notion might be at odds with the omnipotence of God. Hays, J. N., Epidemics and Pandemics: Their Impacts on Human History, ABC-CLIO, Inc., Santa Barbara, California, 2005. Holladay, A.J., and J.C.F. Poole. 1979. The Plague of Athens, The Classical Quarterly 29:282-300. Edward Jenner and the Smallpox Vaccine, posted on the blog September 16, 2014. Smallpox in the New World: Vignettes featuring Hernan Cortes, Francisco Pizarro, and Lord Jeffry Amherst, posted on the blog February 24, 2014. The Greek historian, Thucydides, discovered twenty four centuries ago that smallpox survivors were resistant to subsequent smallpox episodes. Thucydides’ remarkable perception, more than two thousand years before awareness of infectious agents, may have influenced his fellow Athenians, since those who survived the infection comprised the few who were willing to care for those who fell ill. Thucydides’ insight was lost to Western medicine. However, the independent perception in China, that that smallpox survivors are entirely safe from a second attack, led to the development there, about 1,000 years ago, of an empirically based smallpox control strategy, in which uninfected individuals were protected by inhaling powder prepared from dried smallpox scabs. The scabs were from individuals who survived a mild smallpox infection. They were dried to further diminish the likelihood of the recipient undergoing a severe infection. As might be expected, variolation carried risks that would not be acceptable today. However, those risks were tolerable in 18th century Europe, when as many as one person in ten died of smallpox. We now have the smallpox vaccine, which was the first, and arguably the most successful vaccine ever put into practice. Remarkably, the smallpox vaccine was developed in 1798 by an English country doctor, Edward Jenner, a half-century before the germ theory of disease, and 100 years before the actual discovery of viruses! At thirteen years of age, Jenner was apprenticed to an English surgeon; a mister Ludlow. While Jenner was in Ludlow’s service, he heard the doctor suggest to an ill milkmaid that she might be coming down with smallpox. The milkmaid replied that she could not get smallpox since she already had cowpox. The notion, that having had cowpox protects one against smallpox, may actually have been common among English country folk of the day, but it was just as commonly dismissed by physicians. At 21 years of age, Jenner continued his training under the prominent British surgeon, John Hunter. When Jenner ran the milkmaid’s comment by Hunter, the great surgeon encouraged his young protégé to investigate the matter further. Now, perhaps the most remarkable part of the story. History usually credits young James Phipps as the first person “vaccinated” by Jenner. And, while Phipps, in 1796, was the first individual Jenner inoculated with cowpox, and subsequently challenged with smallpox, he was, in fact, not the subject of Jenner’s first experiment. Instead, that person was Jenner’s first son, Edward, Jr., born in 1789. Jenner inoculated Edward Jr. with swinepox when the infant was only 10 months old! Jenner could not have known about microbes, and he left no records revealing his purpose in inoculating Edward Jr. with swinepox. It may be relevant that cowpox was relatively rare at the time, while a similar pox disease was more common in pigs. Regardless, Jenner’s baby son became sick on the eighth day with a pox disease, from which he fortunately recovered. Then, his father proceeded to challenge him with genuine smallpox! Fortunately, Edward Jr. also resisted his father’s experimental attempt to transmit smallpox to him. His father tried again in 1791, when the boy was two, and again when he was three. Edward Jr. resisted each of Edward Senior’s smallpox challenges, most likely because the swinepox virus immunized him against smallpox. We can only guess how Mrs. Jenner regarded these happenings. Jenner also used several other young children in his experiments, including his 11-month-old second son, Robert. One of these children died from a fever, possibly from a contaminant (streptococcus?) in the vaccine. In those days one could hardly know what might be in a vaccine. In Jenner’s famous and classic experiment involving James Phipps, he used a lance to pierce a cowpox postule on the wrist of a young milkmaid, Sarah Nelmes. He then scratched James twice on the arm with the lance. Six weeks afterwards, Jenner challenged James with smallpox from a postule on the body of a smallpox patient. The smallpox challenge caused only a slight inflammation on James’ arm, indicating what now would be recognized as an immune reaction. During the next 25 years or so, Jenner challenged James twenty more times with smallpox, with never any sign of the disease. 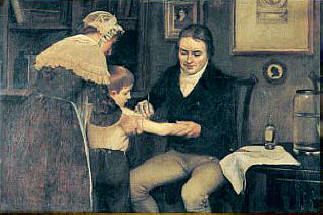 Edward Jenner administering the first smallpox vaccination in 1796. Painting by Ernst Board. Not much else is known about James Phipps, who was only 8 years old when he was first inoculated by Jenner. Additionally, nothing is known about James’ parents and whether they may have consented to Jenner’s use of James. However, Jenner referred to his young subject as “poor James,” and looked after him in later years, suggesting he may have felt some remorse. Moreover, he eventually built a cottage for James and even planted flowers in front of it himself. Little is known of Sarah Nelmes. Thankfully, the sorts of experiments Jenner carried out cannot be done today. Yet because of his efforts, the once dreaded smallpox virus now exists only in the laboratory. It is possible that Jenner was not the first to use cowpox to vaccinate against smallpox. However, he was the first to eliminate the cow from the procedure. That is, he transmitted immunity from person-to-person, without the need for an infected cow. Nevertheless, he hung in his house the hide of the cow, which had initially given Sarah Nelmes cowpox. Although Jenner demonstrated that his vaccine could be passed indefinitely from person-to-person, neither he, nor anyone else at the time, had the insight that this indefinite passage meant that the active agent in the vaccine must be able to replicate. Greer Williams: Virus Hunters, Alfred A. Knopf, 1960. Cotton Mather, Onesimus, George Washington, and Variolation, posted on the blog November 20, 2013.
Notable Individuals Who Survived Smallpox and One Who Didn’t: Featuring Abraham Lincoln, Elizabeth I, Josef Stalin, and Pocahontas, posted on the blog March 10, 2014. 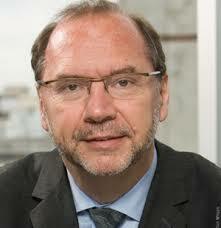 Peter Piot co-discovered Ebola virus in a laboratory in Belgium in 1976. Two weeks after the discovery, he risked his life in Zaire, now the Democratic Republic of the Congo, studying the Ebola outbreak at its source. Piot went on to have a distinguished career and is now best known for his advocacy of HIV/AIDS control and prevention, particularly in Africa. Toward that end, Piot participated in the first international project on AIDS in Africa, leading the way to understanding the African AIDS epidemic. He helped found and then served as Executive Director of the Joint United Nations Program on HIV/AIDS (UNAIDS) and then as Assistant-Secretary-General of the United Nations. It is safe to say that Piot helped to save hundreds of thousands, and perhaps even millions of lives. He currently serves as director of the London School of Hygiene & Tropical Medicine. The following, sometimes spine-tingling excerpts from Piot’s 2012 memoir, No Time to Lose (2), tell how 27-year-old Piot, two years out of medical school, helped to discover Ebola virus in a laboratory in Antwerp in 1976. At this point in the story, Pattyn received a message from the Viral Diseases Unit of the World Health Organization (WHO), instructing him to ship all of the Belgium lab’s samples of the mysterious new virus to Porton Down in Britain. Piot then relates that electron micrographs of the new virus, prepared at the university hospital, showed it to be strikingly similar morphologically to the Marburg virus. Piot then relates the political machinations that enabled him to fulfill his dream of going to Africa, where he would help to analyze and contain the deadly epidemic. In Zaire, in the quarantine zone, Piot lived among dying Zairians, repeatedly risking his life collecting blood samples from victims and gradually helping put together a picture of how the virus (eventually known as Ebola, after the river where its first outbreak occurred ), was transmitted. Piot’s experience in Zaire led him to believe that he might benefit from additional training in infectious diseases. So, he came to the United States to receive further training on sexually transmitted diseases. Upon returning to Belgium, he became the go-to doctor for people arriving from Africa with exotic tropical infections. The emergence of the African AIDS epidemic led Piot back to Africa. He was now well prepared to lead the world’s response against the newer and eventually much graver HIV/AIDS epidemic there (4, 5). 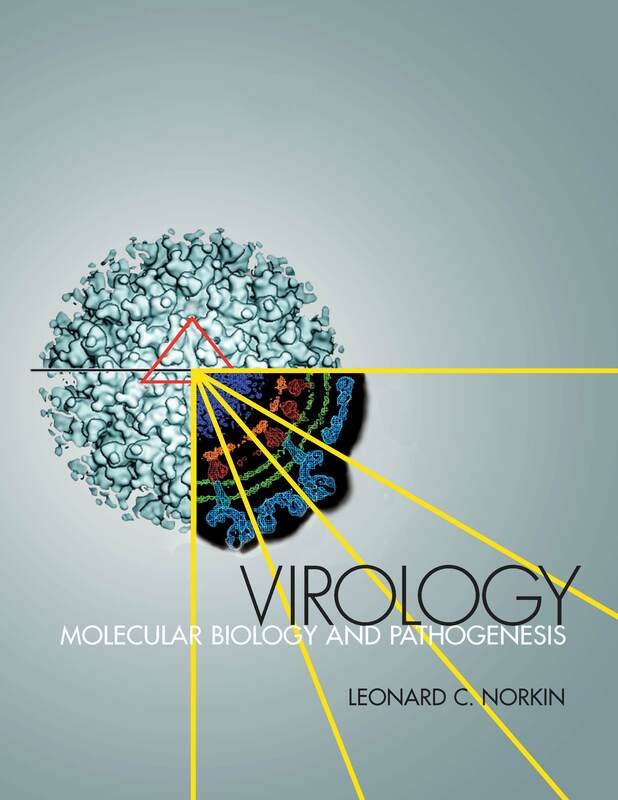 (1) Virology: Molecular Biology and Pathogenesis, by Leonard C. Norkin, ASM Press, 2010. (2) No Time to Lose: A Life in Pursuit of Deadly Viruses, by Peter Piot, W. W. Norton & Company, 2012. (4) The American Public’s Response to the 2014 West African Ebola Outbreak, posted on the blog, August 10, 2014. (5) Thabo Mbeki and the South African AIDS Epidemic, posted on the blog, July 3, 2014.